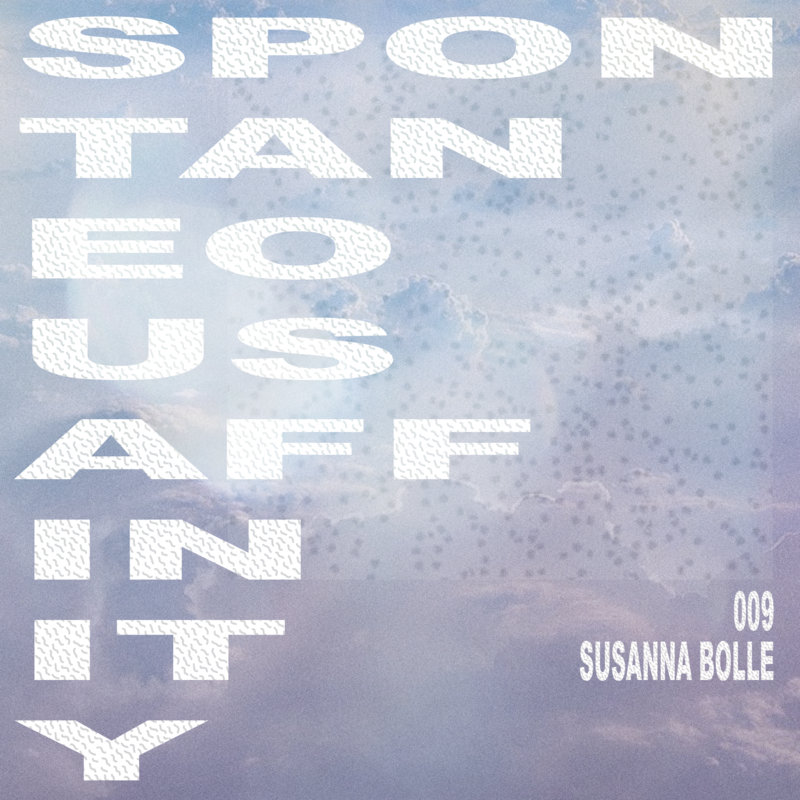 Susanna Bolle is director of Non-Event, a Boston-based experimental music series founded in 2001, and host of Rare Frequency, a weekly radio show on Newton's WZBC. In a city where experimental sounds often struggle, Non-Event has stood up to the challenge by working around—and sometimes, perhaps surprisingly, with—the system, to book shows in spaces ranging from cafés and galleries to the Waterworks Museum and City Hall. When I was asked to make this mix, I wasn't sure what angle to take that would fit with the series, but I knew that I wanted to avoid doing a beatless ambient set (as enjoyable as that would be). I'm not a club DJ, but I wanted to do a mix with tracks that (mostly) have at least an oblique relationship to the dancefloor. So I decided to keep it personal. I focused the mix (mostly) on tracks by artists who I first became aware of in the mid/late '90s, which was when I was diving more deeply into electronic and experimental music. I had been inspired by the underground dance music scene in Boston that period, specifically by sprawling parties put together by the Toneburst Collective, not that there's much evidence of that in this particular mix in terms of genre or style. The music is not all from that time period. I decided to narrow things further by including music (again, mostly) by artists for whom I've organized shows over the years. I focused on those shows that have stuck strongest in my memory. Once I set these loose parameters, I tried to choose things as quickly and intuitively as possible, only occasionally ignoring my self-imposed guidelines altogether. This is pretty much the type of mix that I'd do for radio. There's not a lot of mixing, but it's not totally straightforward either. I grew up in a small town in rural New Hampshire about 2 hours' drive from Boston. In some respects it was quite isolated – the closest record store was over an hour away – but we did get Boston radio stations and even a college station (WJUL) when the atmospheric conditions were just right. Radio was extremely important to me. Both my parents were classical musicians and my father founded a summer music festival, so from a very young age I learned to sit still and listen. But it was not a traditional, overly formal festival, so I also learned the value of building a community of artists and audience members and the nuts and bolts of putting together a successful show. I always thought that there was something akin to DIY in the whole thing, but perhaps I'm kidding myself. In any case, I learned that if you want something to happen, you may just need to make it happen. I learned that if you want something to happen, you may just need to make it happen. I have lived in Boston for most of my adult life and have been organizing shows here for almost 18 years now. Non-Event has never had a "home" per se, be it an art space, club, or loft. We've always had to search out good spaces and kindred spirits around city in order to put on shows. This homelessness has forced us out of our shells a bit, coaxing and leading us to seek out collaborations with a wide range of interesting people and unlikely allies from different parts of the city. I get to see people and places in town (some quite amazing) that I never would otherwise and these leave an indelible imprint on what we do. Early on when we struggled to find spaces, I thought our lack of space was going to be our downfall, but I've come to realize that — at least for now — it may be our greatest strength. Boston's crazy real estate situation is one of our prime motivators. In addition, in spite of all the challenges of living in a city like Boston, there is still a tenacious local and regional underground and experimental music scene, which we do our best to support and foster. I travel for shows a lot and always have. Getting to my first rock show involved a 2-hour drive. The first dance-related event that I traveled for was the first US show by Pole at the legendary Cooler space in New York. Those first Pole records were so important to me and the chance to hear him play on a good sound system was too enticing to pass up. As it turns out, he didn't end up playing Boston until over a decade later. Now of course, I travel to hear shows on a fairly regular basis. To some extent I do this to see how people are organizing concerts outside of greater Boston/New England, often in spaces where there is better infrastructure. But for a lot of the artists that I'm most interested in hearing, there just aren't all that many opportunities to hear them anywhere, so you often need to travel. 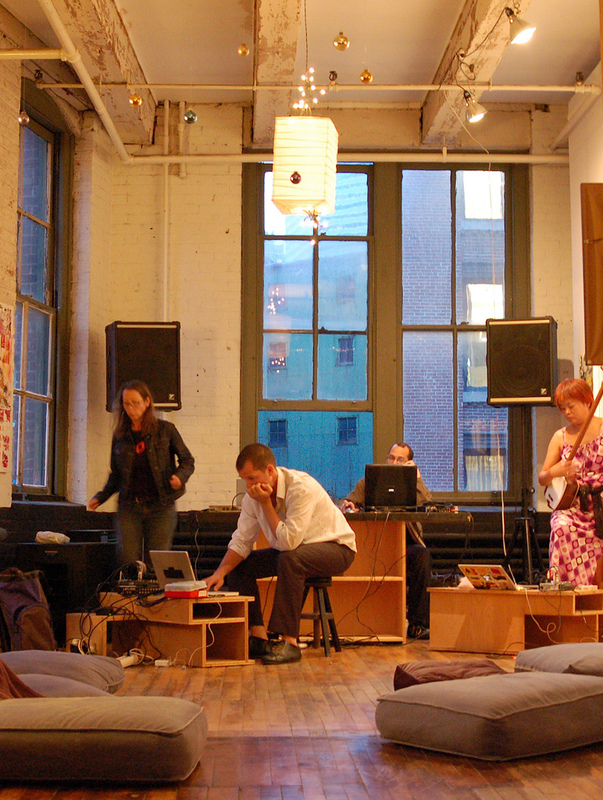 This photo was taken during the set-up for a show in the Square One loft in Fort Point in 2006. The artists from left to right are i8u (France Jobin), Alessandro Bosetti, Berhard Gal, and Yuko Nexus6. I chose this in part because sQuareone was a favorite now-lost loft space. They mostly held dance parties in there (all the residents were DJs), but they were also very open to hosting our experimental shows. I have better photos of the space, but this one is from the start of a particularly enjoyable night. The performances were all great (and super varied) and the atmosphere was very special. I have an unusually vivid memory of listening to this record for the first time in my old apartment in Dorchester. I became mildly obsessed with these early Senking releases and with this kind of drifting, oceanic deep-bass dub music – I got the first Pole full-length that same day, so it's a wonder I ever left the room! Ten years later Senking played a wonderful set at the Middlesex in Cambridge; it was smoking – literally, you could smell the PA when you entered the space. Laurie Spiegel, "The Unquestioned Answer"